Need a Certification to grow your business? 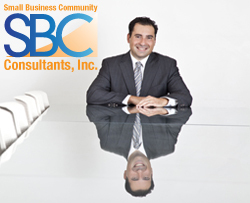 Plan Ahead of Time - SBC Consultants Inc.
Over the last few weeks we have seen an influx of calls from potential customers seeking Government Certifications. One such case was when a client called and needed to be certified with the State of California as a Disadvantaged Business Enterprise or DBE. I had another appointment within close vicinity so I scheduled to meet him at his office. Client owns a garbage disposal company and has been quite successful. He primary is a subcontractor working under a prime contractor. One of the prime contractors he works with requested he get the DBE Certification in order to give him more business. The client was told this roughly 3 months ago. When I met with him, it was brought to my attention that he had a deadline of 3 weeks to get Certification Approved. I explained to the client, that the time frame needed for us to assist in completing the Certification would take roughly 2 weeks and that the Certifying agency, in this case LA Metro, can take up to 3-6 months in approving his application. The client knew that hiring me would get the job done but he would miss his deadline. He decided to not go through with the certification. This is a classic example of how thinking ahead can help you move forward faster. If the client took the initiative and called me in the beginning he would have been approved and the opportunity to increase sales and satisfy his vendor. All businesses should have goals in regards to sales, marketing, hiring new employees, efficiency etc. The same goes for Certifications. Don’t wait until the last minute to get certified. The certification process can be lengthy and needs time to be finessed for approval. We are very good at we do, but we still need time to prepare, meet, complete the application and gather the supporting documentation to submit. . As good as the certifying agencies are, they have hundreds if not thousands of applicants at any given moment and work on a first come first serve basis. What to look for when Hiring a Consultant to help you obtain an SBA Certifi... Computing Personal Net Worth for the 8a Certification.